There are many competing voices in life. Family can exert pressure to conform to the parent’s way of thinking but it is not always the correct way for the youngsters. “This family sticks together.” Whilst it is important to obey your parents, it is more important to obey God. There is the theme of the grass always being greener. Best friends Leona and Gloria both have a secret desire to be part of the other’s family. They are dissatisfied with their own parents. As they each journey through life, they realise that the grass is not always greener and their blessings need to be counted. The theme of steadfastness is in the story. There are some people you just know you can always rely on. They will always want the very best for you and will not let you down. It is a matter of where you place your trust. Our heavenly Father can always be trusted with our one and only life. The elder statesman Dawdi is a wonderful character, full of love and wisdom. His part in the story is not prominent but it is significant. Forgiveness and letting go are dual themes. The past needs to be dealt with if it is holding us back. Forgiveness must be given because without doing so means we may become bitter. God tells us to forgive. It is not negotiable. We have to do it. There is the theme of the prodigals. Sometimes people are “trying to hide from God.” There is nowhere to hide, as the psalmist reminds us. There are a great many lost people and we must “never turn our backs on the lost.” It is too easy to wander from God as pressures from life intrude. We need to pray and help the prodigals find their way home. 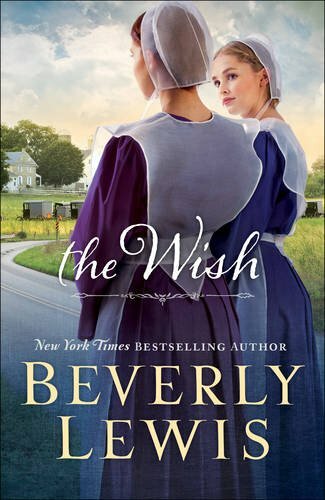 I loved The Wish with its simple Amish life and a great sense of love, friendship and community. God is very much at the heart. Customs are observed. I ‘felt’ very much a part of the community as I turned the pages. I can highly recommend The Wish and I shall certainly be hunting out more by Beverly Lewis.